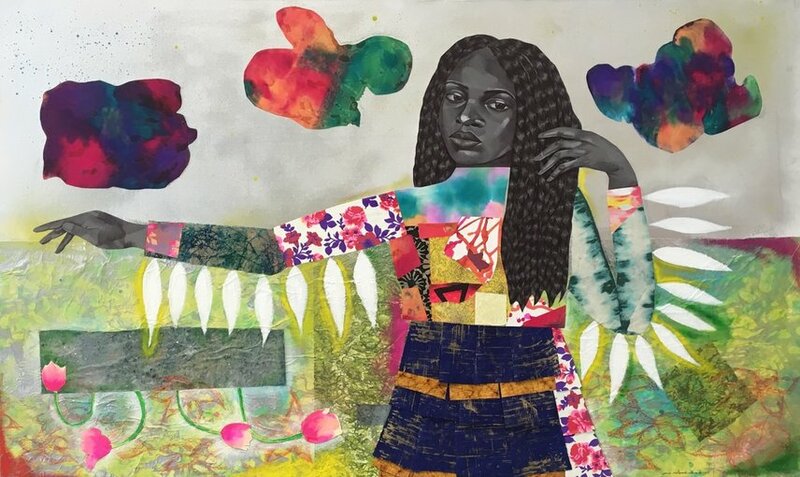 “AS A YOUNG GIRL, Jamea Richmond-Edwards got lost in the pages of Ebony magazine. She was particularly drawn to the runway images from the Ebony Fashion Fair show. Through the otherworldly photographs of stunning black models styled in wildly imaginative ensembles, she discovered haute couture and envisioned herself as a fashion designer. Years later, she chose visual art over fashion design, but never gave up on her desire to explore the artifice of dressing.